… is the cry heard from many a website owner. Look closer and that same client often thinks that just because their website is on the internet, it means that everyone can find it. And when you ask what search words their site is found under, many give their company name. But what’s the use in having a website if it doesn’t bring in new business, because the only visitors are those that already know the company or their website address? Long gone are the days when businesses could get away with cobbling together a few badly-written web pages and amateur photos, and sticking them on a domain name. Not only do businesses need a professional web presence, they need to promote their website professionally too. After all, if you wanted a marketing brochure would you print your own with a John Bull printing set? No? Well, the same applies to websites. Of course there is more to a successful site than just looks – after all, beauty is only skin deep. For a site to rank well in an internet search and thus bring in new business, amongst other things it must be ‘search engine friendly’ in its design and navigation. Good sites also adhere to the motto,“content is king!”, and have up-to-date information written with both humans and search engines in mind. Graphics and photos should enhance a site, not detract from it. Finally, it is worth noting that although lots of companies can build you a great looking site, many are not be specialists in the way search engines work. That means that your site will probably never get a good listing – not unless you are prepared to pay for internet adverts. That often requires a bottomless pit of money that you may not need to spend if your website is performing the way it should. 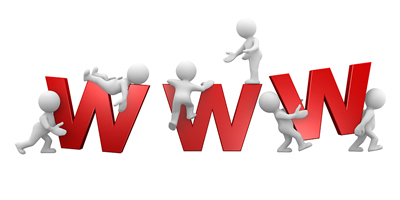 Avoid the pitfalls above and have a FREE, no obligation appraisal of your existing web site.